Hi everyone and welcome. 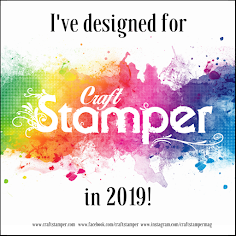 Over at the Frilly and Funkie Challenge blog we are at the beginning of a new challenge, 'Haberdashery'. This challenge is hosted by Zoe Hillman; "A haberdasher is a person who sells small articles for sewing, such as buttons, ribbons and zippers. 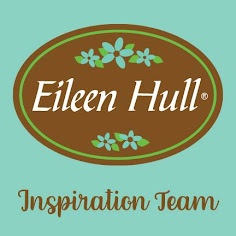 For this challenge create a vintage or shabby chic project including items found at a Haberdashery." Now I'm a great one for salvaging bits and pieces that would normally be discarded 'just in case' they can be re-purposed in my artwork. And it seems I've trained my hubby well as he now does the same! He found an old pair of fabric cutting scissors along with some other rusty treasures and it's these that formed the centrepiece of this week's project. I used a Tim Holtz Small Etcetera Tag as the base, covering it with some striped cotton ticking cut from the edge of the fabric so I could get the fringe and machine hole detailing in too. The fringed edge has a strip of embossed fabric left over from my Collage Book applied underneath and a larger piece of the blue Tim Holtz Textile Surfaces fabric was stuck onto the ticking. With most of the base in place I scraped over random patches of white gesso before stencilling Stitched crosses diagonally across the whole tag. The final fabric layer was handmade - I stamped the new Lace background onto plain cotton using Chipped Sapphire Distress Paint, machine stitching around the edge when it was dry. After sticking it in place over the lower fabric layers I used a Mini Blending Tool to apply Frayed Burlap Distress Ink on top as a way of blending them together and giving them an aged look. Having worked out where the rusty scissors should be placed I set about adding lots of Ephemera beneath them including a piece of crackle embossed card (tutorial HERE) a Measurements ruler aged with 'Chunky Rust' Embossing Powder, ink stained lace and Bouquet Findings, various buttons, an Heirloom Rose and Mirrored Stars/Hearts. By including a small Baseboards Frame in that pile I had something with an aperture to support the scissors after wrapping them with twine, wire, fabric and an Assemblage Pearl Charm. To finish I added a scattering of words - Clippings and a Quote Chip, all ink edged and supported with thick card to prevent buckling. I was amazed at just how detailed the Lace background worked when stamped onto fabric and how closely the Chipped Sapphire Distress Paint matched up with the ticking fabric. I had some wire edged organza ribbon which coordinated perfectly and provided that finishing touch at the top of the tag. 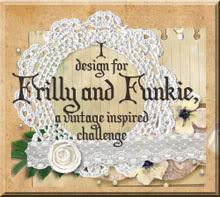 That's it for my haberdashery themed project for the current Frilly and Funkie challenge. My talented team mates have created lots more amazing projects for this challenge so make sure you hop on over and check them out HERE. And remember to link up your own shabby chic or vintage haberdashery entries to be in with a chance of winning one of the fabulous prizes. Glad you have your wonderful husband trained to keep his eye out for crafting treasurers because those rusty scissors made a great focal point for this beauty, especially after you wrapped them. Love the fabrics and all the other little elements you have tucked here and there. Oh, my! Absolutely stunning; how do you create such wonderful projects week after week? Everything is so perfectly composed that it is difficult to pick a favorite part. The colors and layers add the perfect background for the beautifully rusted scissors! Thanks for the inspiration! This is such a treat! I love the rust and blue color palette...so perfectly vintage. And the thoughtful way you cut your blue ticking to leave the selvage edge visible is marvelous. I can't get over how beautifully the blues match...and how perfectly that stamp worked on fabric. This is dreamy, Jenny. And hats off to your hubby for saving those lovely rusty scissors for you. They look wonderful wrapped with fibers and topped with jewels. This should hang in a haberdashery because it's just so marvelous! Stunning - the fabric layers, the glorious wrapped rusted scissors, the colour combination (deep sigh of pleasure!) - this is an absolute beauty, Jenny. Jenny, there's so much to love about this tag! I love the ticking and the coordinating lace stamping. I, too, am amazed at how detailed the image is on fabric and with paint! Speaking of details, you've aced these on this beautiful collage! I particularly love the frayed/ holey edge you've used of the ticking. This is another of those projects of yours that just takes my breath away! Those scissors made me giggle, because I was trying to work a pair of vintage sewing scissors into my project, but took the easy way out with the charm! Happy weekend! Fantastic Jenny! I love the layers of fabric and those rusty scissors!!! What a gorgeous tag! I adore the way you wrapped the middle of the scissors with the bits and pieces. What a beautiful and inspiring piece of art!